If ever there was a beautiful, must-visit American town, Port Townsend, Washington has to be it. 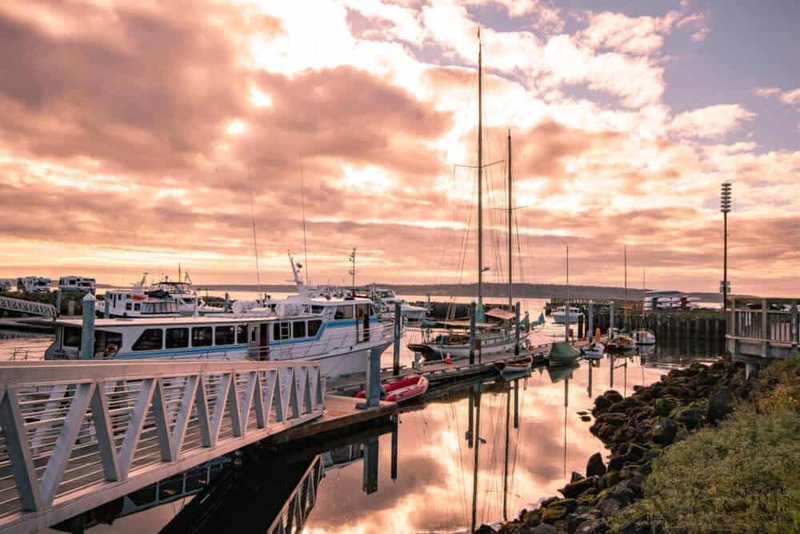 Located at the northeastern tip of the Olympic Peninsula in the Puget Sound, Port Townsend experiences a temperate climate year-round and is best known for its Victorian architecture and natural beauty. Our family first explored Port Townsend several years ago, and it has been captivating us ever since. In fact, our first born has since flown the coop and makes his living building and repairing wooden boats there. That means we’ll be exploring lots more of Port Townsend, and we couldn’t be more thrilled. Because Port Townsend is so near and dear to us, we thought we’d share some of our favorite Port Townsend activities, as well as some incredible options for dining and lodging. Ready to plan a trip to the loveliest town in America? 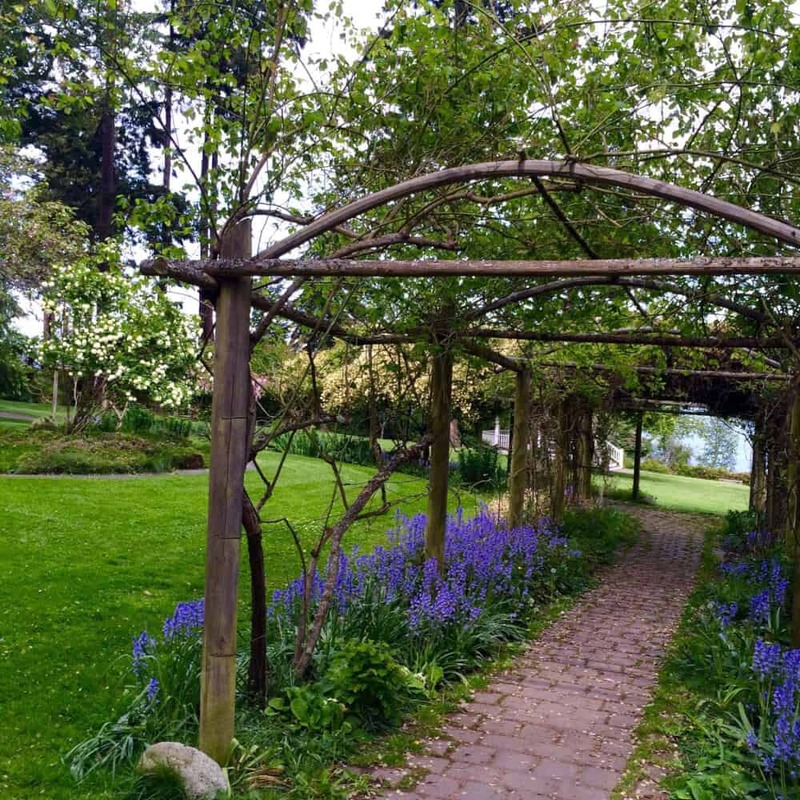 Here are the best things to do in Port Townsend, Washington. No matter where we go, we always tend to explore parks and trails, beaches and campgrounds. Port Townsend has so many beautiful natural areas! Here are some of our favorite spots. This little waterfront park is a treat to visit on a sunny afternoon. Bring a picnic and stroll through the expansive gardens of donated tropical flowers and the colorful rose promenade. There are botanical secrets here that are just waiting to be discovered. You are also likely to spot deer browsing on the park’s lush grass. There’s a short trail that leads to a small rocky beach, a few bench swings to relax on, and plenty of picnic tables. 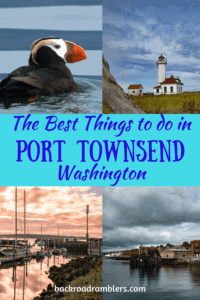 For Port Townsend camping that’s close to downtown, you really can’t beat Fort Worden State Park, plus Fort Worden is a great destination for hikers, swimmers, anglers, and nature lovers. You could visit every day for a week and not tread on the same trail twice! There are two distinct camping areas in Fort Worden State Park. The Beach Campground is the most popular (for obvious reasons), but the beach sites are quite exposed, offering little shade or privacy. If this doesn’t bother you, then you will love the beach campground for its awesome view and its proximity to the Point Wilson Lighthouse and the Marine Science Center. If you are looking for a more sheltered site, consider the Upper Forest Campground, which provides both shade and privacy. It is located in southwest corner of Fort Worden, near the Chinese Gardens Lake. 25 of the 30 sites provide full hook-ups for RVs. The other 5 are primitive sites suitable for hikers or bikers. When camping in Port Townsend, we almost always choose the Upper Forest Campground. Fort Worden campgrounds are open year-round, and if winter camping isn’t’ your thing, there is dedicated lodging available as well. You can make your reservation online on the Washington State Parks website. Please note that in the summer, Port Townsend camping at Fort Worden can be really busy. Reservations are a must in July, August, and September. You can probably get away with not making reservations during the rest of the year. 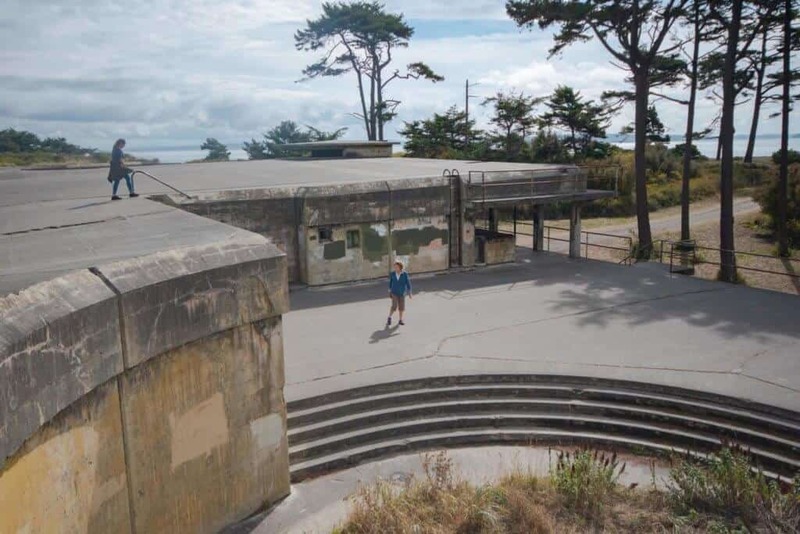 When our kids were younger, their favorite part of their entire Port Townsend experience was the turn-of-the-century bunkers in Fort Worden State Park. The bunkers are widespread throughout the park, but our favorites are nestled into the bluffs overlooking the Straits of San Juan de Fuca and the Puget Sound. Take heed that these abandoned bunkers are massive, unsupervised concrete structures without any of the safety precautions or oversight you might expect in a historical landmark. Filled with unlit tunnels and chambers, rail-less stairways, vertical ladders, and the sense that once entered, these “catacombs” (as our kids coined them) could become labyrinths without escape. The bunkers are a treat for adventurous or imaginative souls and would make a great setting for the next big horror flick. 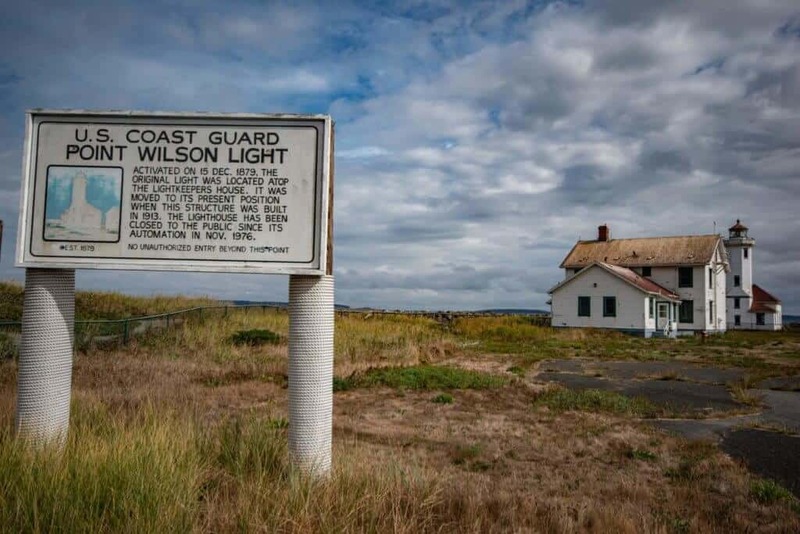 The Point Wilson Lighthouse is located right at the entrance to the Puget Sound at Admiralty Inlet at the tip of Fort Worden State Park. It is a vital navigational aid for ships coming and going in the area. The original lighthouse was built in 1879 and sat atop the lightkeeper’s house. The current lighthouse and fog signal building were both constructed in 1913. It is one of 19 U.S. lighthouses still standing along the Puget Sound. Point Wilson lighthouse is not an official part of Fort Worden State Park, but the park provides easy access to the lighthouse grounds. It can be reached by walking along Fort Worden Beach or the park’s north shore. Tours are offered on Saturdays from 1 to 4 p.m. from May through September. This beloved little science center and museum makes a great stop on a rainy afternoon, or any time if you have kids. The Marine Science Center opened in 1982 and provides hands-on explorations to teach kids and adults about the Salish Sea with touch tanks, aquariums, and even a hydrophone to listen to offshore whales. The center is also home to one of only six fully articulated orca whale skeletons in the United States. The Marine Science Center is open on the weekends during the winter months and every day but Tuesday during the summer. 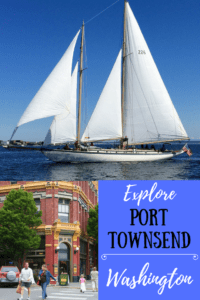 Located in the heart of the Puget Sound, Port Townsend is a perfect combination of Victorian-era cottages, sprawling gardens, and a bustling downtown. You will find dozens of boutiques, art galleries, and restaurants in the downtown area, and if you are like us and want to stay where you can walk everywhere, you won’t have a problem. Downtown Port Townsend hotels are plentiful, unique, and available at every price point. We’ve done a lot of eating in Port Townsend, and our favorite restaurants change every time we visit. The following list includes some of our very first favorites, as well as new loves from our 2018 visit. I know there are many, many restaurants that we haven’t had a chance to visit, so be sure to experiment and let us know what we’re missing. Waterfront Pizza. Located on Water Street in the center of town, this is arguably the best pizza you will ever taste outside of Manhattan— get your enormous slices to go and eat them on the little beach right next to the counter. The lines are long, but believe me, the pizza is well worth the wait. *2018 update: So, our most recent visit to Waterfront Pizza in Port Townsend was a bit underwhelming. Here’s my advice. If you are going to partake, order from the counter by the slice. We don’t recommend sit-down service in the small upstairs dining area. Our pizza took forever, and it just didn’t taste as good as we remembered. Khu Larb Thai. Superb, authentic Thai food can be yours without leaving the shores of the US. 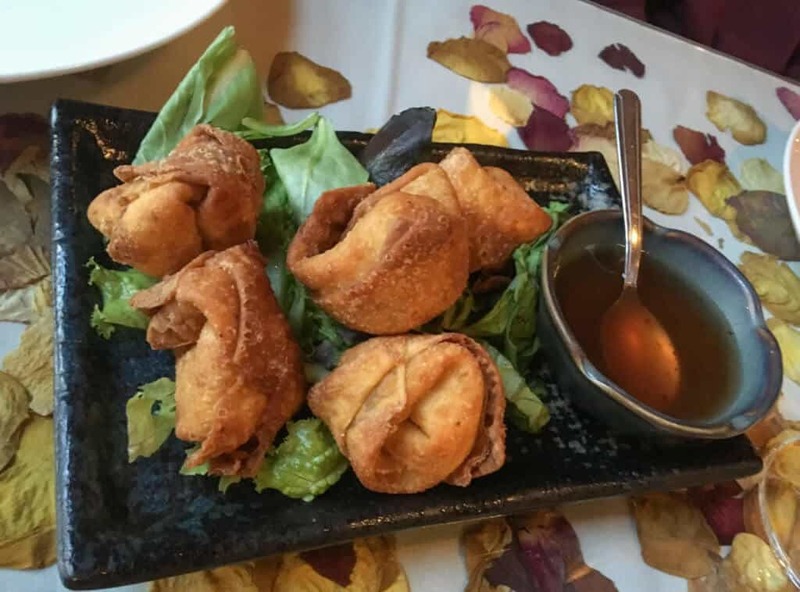 The Olympic Peninsula’s first Thai Restaurant has been wowing foodies for more than 25 years. No matter what you order, you’ll be delighted with the food, the service, and the ambiance. Some of the best Thai food anywhere! *2018 update: Since our last visit, there is a new Thai restaurant – Banana Leaf Thai Bistro, which is pretty awesome. Our suggestion. If you are looking for an elegant Thai meal, go with Khu Larb. For more casual fare or outdoor seating, check out Banana Leaf. Elevated Ice Cream. Swiss Orange Chocolate, Blind Love, and Marionberry –these were our favorite flavors, but there are dozens and dozens to choose from. They’re all original, all homemade, and all delicious. No matter how full your belly is from all that Thai food and pizza, do not skip the ice cream! Hanazona Asian Noodle Shop – Although Hanazona has been open since 2005, we visited for the first time last year. This is a small place that is perfect for a quick lunch. It features affordable, delicious, organic food, much of which is sourced from local sources. My son, who works in Port Townsend says that Hanazona is totally habit-forming. We definitely agree! Better Living Through Coffee – The best small town coffee shop I’ve ever been to, and a strong contender for my favorite coffee shop of all time. Better Living Through Coffee has a lot going for it. 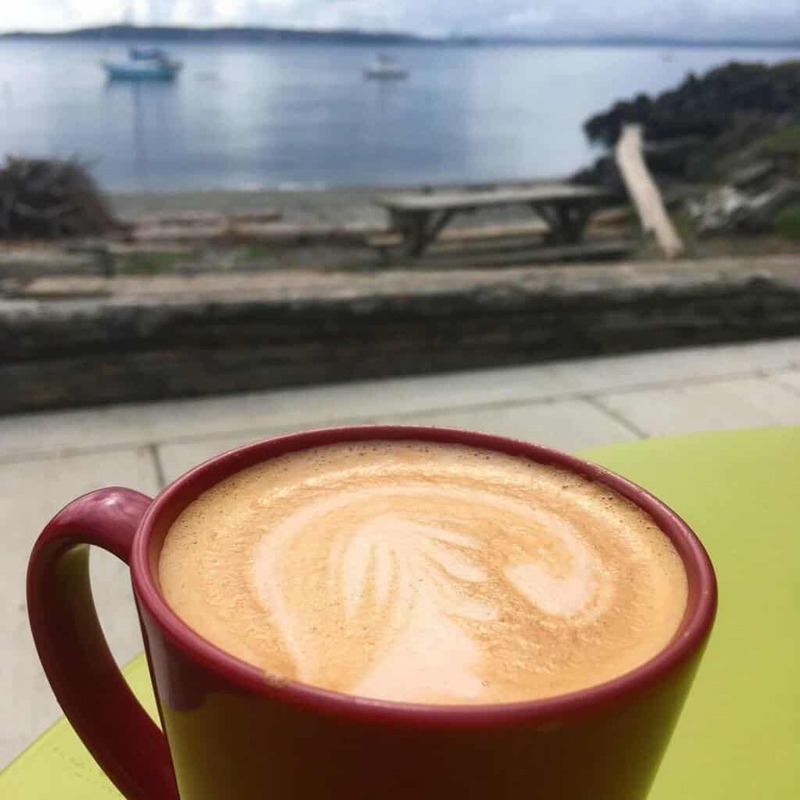 The location is in the heart of downtown Port Townsend and right on the waterfront so you can drink your coffee and watch the boats go by. The coffee is fresh, hot, and strong. They use the pour over method for all of their coffee, and it doesn’t sit around for even one second. If you are looking for a special coffee drink, do yourself a favor and order the Caffe Arancia (coffee with cocoa powder, orange peel, and vanilla), or the Caffe Chetzemocha (coffee, cocoa, chile peppers, and spices. 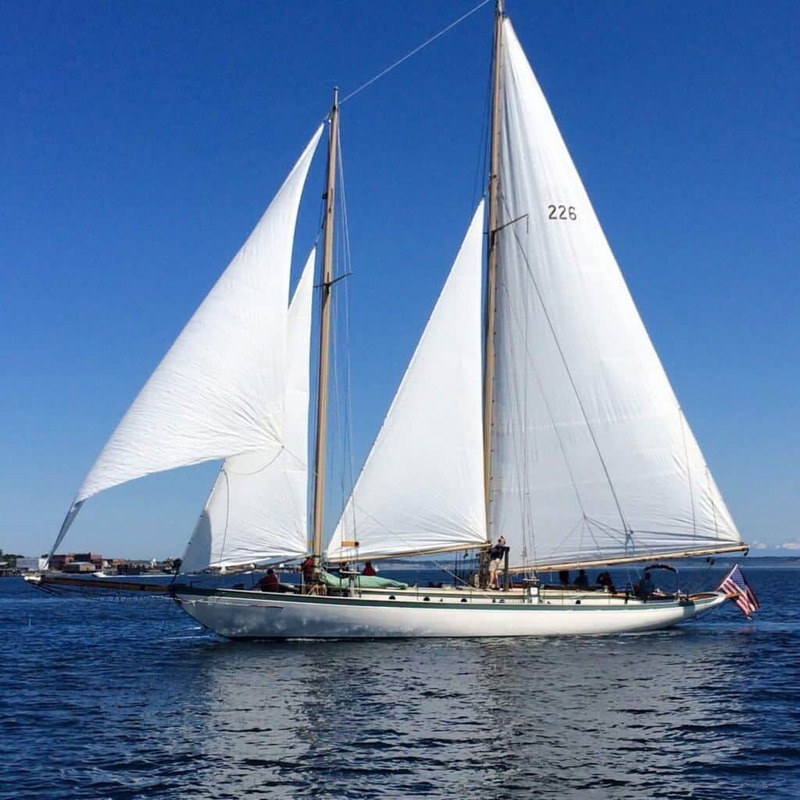 Last year we timed our visit to coincide with the Port Townsend Wooden Boat Festival. The festival happens each year in early September and features three days of activities, workshops, boat tours, music, and more. There are more than 300 wooden boats packed into the Port Townsend Marina, and the town is overrun with boat enthusiasts, sailors, and woodworkers. We had been hearing about the festival for years and were thrilled to be there for 2018. If you are planning a visit to Port Townsend and are interested in boats and maritime history, you owe it to yourself to check out this fabulous festival. My only word of caution would be to make your reservations early because lodging fills up very quickly for this world-famous event. The Victorian homes of Port Townsend were built uptown starting in the 1880s when the town was a contender for hosting the main railroad terminus for the Pacific Northwest. While Seattle was eventually chosen as the railroad hub, Port Townsend was left with dozens of fabulous homes that survive to this day. The Victorian homes are primarily located uptown, and while most are private residences, you can definitely stroll the streets and view the homes from the outside. 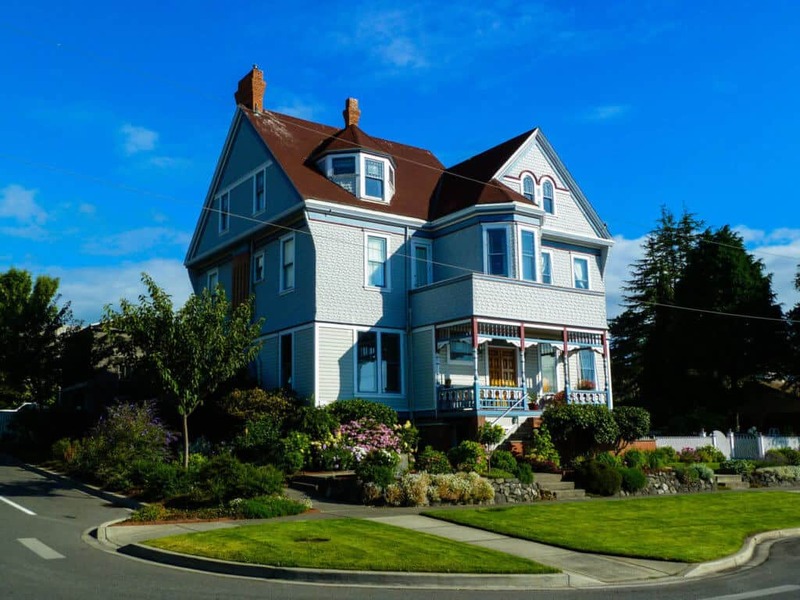 For lovely photos and an overview of many of the Victorian homes in Port Townsend, check out Dave’s Victorian House site. It’s a great resource. This had been on my personal bucket list for a long time, so I was so excited to embark on a whale-watching tour in the Puget Sound last September. 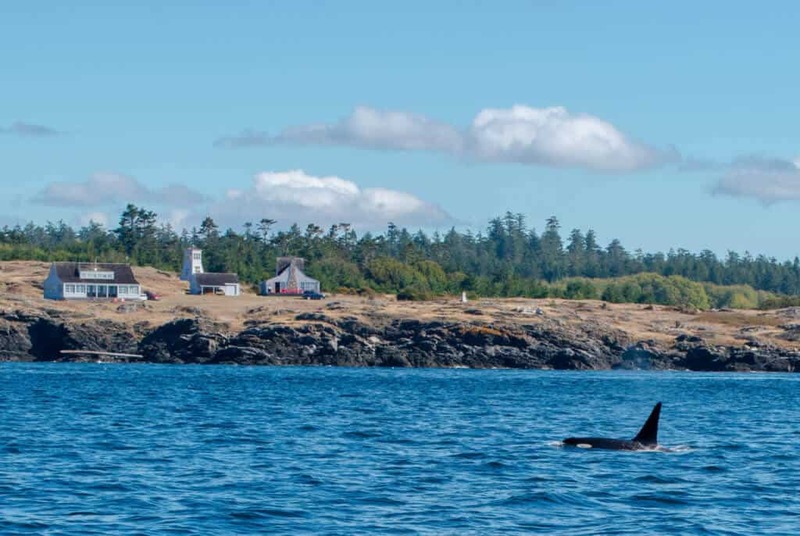 We set sail one early morning with the Puget Sound Express, who has been offering nature tours and whale watching excursions in the Salish Sea for more than 40 years. We spent the whole day on the water, with a short stop in Friday Harbor for lunch. We saw lots of wildlife on our trip, including many Southern Resident orcas, a tufted puffin, and lots of seals and sea lions. I will never forget it! I wrote a separate post about our whale watching experience if you want to read more. There’s plenty of reasons to head to this beautiful corner of the Pacific Northwest. Whether you’re hitting up some urban culture in Seattle, or making a pilgrimage to Olympic National Park, your road trip will be so much more colorful with an extended stop in this unique and hip seafaring town. 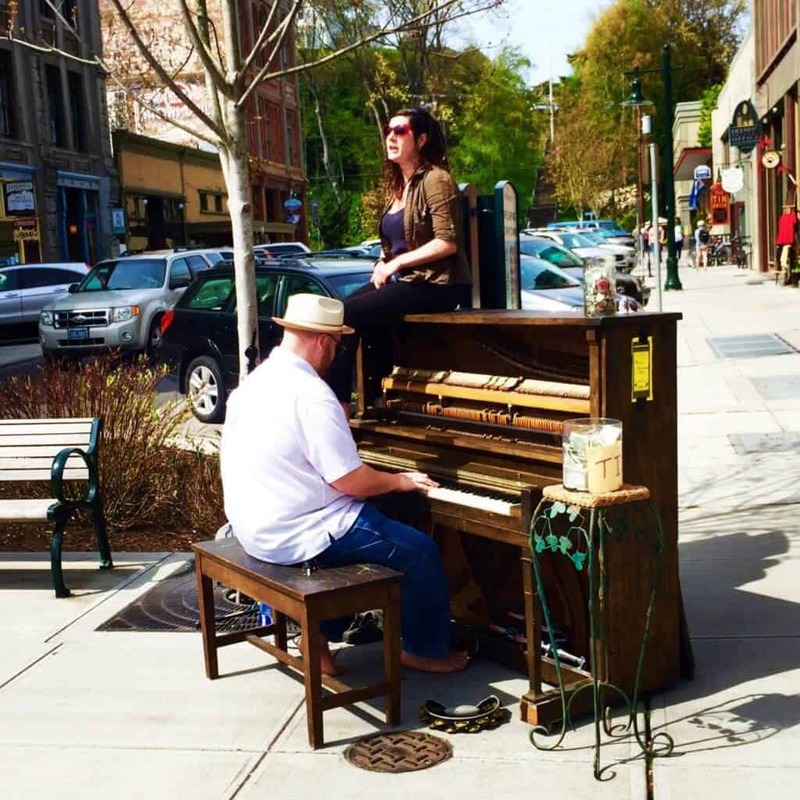 A special thank you to Christina Pivarnik and Enjoy Port Townsend for providing the photos for this post. They are a great Port Townsend Resource – providing lots of information on dining, shopping, lodging, and special events. Marrowstone is not “off the coast of America.” It is well inside it in Puget Sound, as is all of Port Townsend and its neighbours. I won’t argue with you there, Brian. The photo of the sign was taken on Marrowstone (at the general store). I’m sure it was meant to be humorous. Thanks for sharing this, Janice. I think this is something our readers would love. I plan on being there next year for sure! Looks like a great place! I love all the sailboats and Marrowstone sounds like fun! That wooden boat festival looks so cute! Great tips (especially food tips)! The boat festival looks awesome. I’m hoping one day I can learn to sail and make it a part of most of my vacations. I really need to get to the Northwest and do some exploring though! Seems like I am really missing out. Port Townsend sounds like a lovely place!! I’m looking forward to exploring more of Washington State this year, Waterfront Pizza sounds like a delicious stop along the way. Sounds like a fun day. I’d like to visit the bookstore and ice cream shop. 😉 I crossed the Puget Sound via ferry on a day tour of Seattle but cannot remember if we went here or not. Port Townsend is so cute!! Even though I only live in Seattle, I really need to get out there more. They actually just taped a Ghost Adventures in one of the old hotels there too! Cool, Angie. Funny – they just taped one here in Vermont last month. How far is Port Townsend from Seattle? I’m really not kidding when I say it was the best Thai food I’ve ever had (I’ve never been to Thailand). Another blogger recommended this town. Wish I would have visited while I lived in Oregon. It’s a great place to visit, Tricia. I can’t wait to go back.